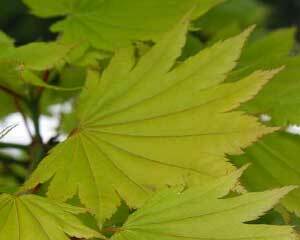 Acer japonicum - new growth, the leaves will darken as they age and in autumn will turn to oranges and reds. 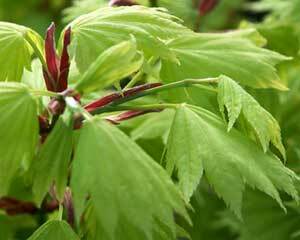 Acer japonicum or the Golden Maple is a slow growing and shrubby small tree with deeply lobed pale green leaves that are coated with a fine downy hair when young. 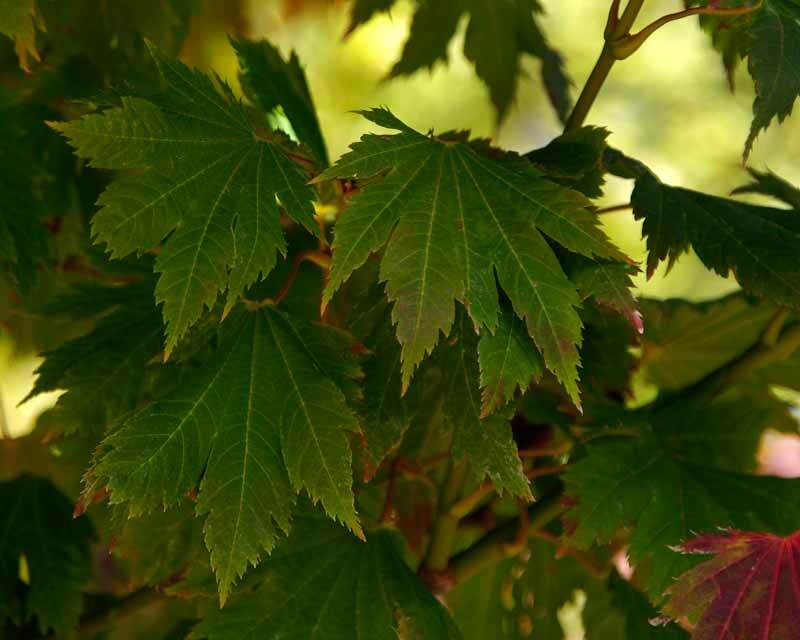 As with most maples it turns wonderful shades of gold in autumn before shedding its leaves. 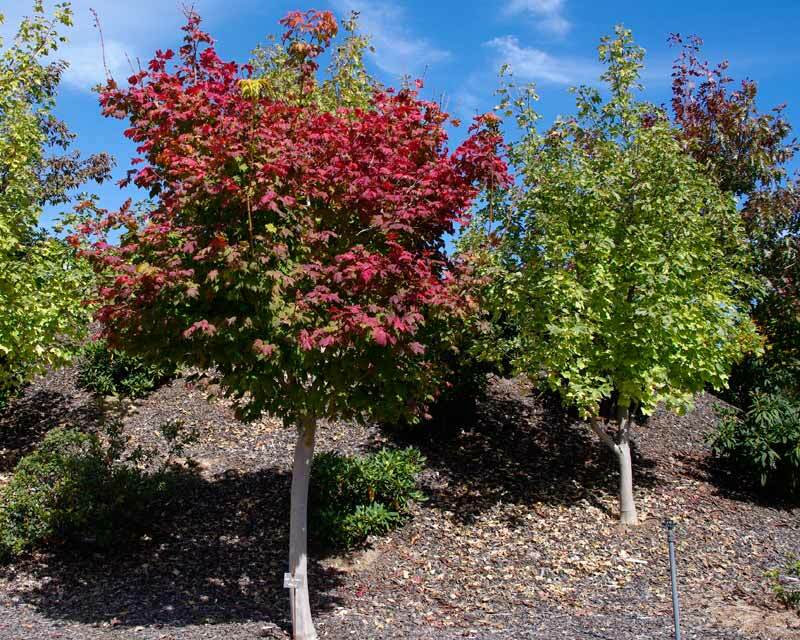 This tree prefers a moist and cooler climate to see it at its best. Other Species: 120 species in all inc. A. negundo amongst others.